Walk in wild places, and you are sure to see, and hear, birds, if nothing else. I am betting that many visitors to Yellowstone pay the birds little notice. It is, after all, the big mammals that draw most of the attention – the bears, the wolves, Elk, Bison, Moose, and Pronghorn. Some of the smaller mammals are also favorites, especially the ubiquitous Uinta Ground Squirrels. To be clear, I’m sure most will pause and watch an American Magpie fly by with its ridiculously long tail and bold pattern. And a Bald Eagle or pair of Sandhill Cranes will certainly cause folks to look up. But, I am guessing relatively few give much thought to what sparrow they flushed out of the sagebrush, or what that melodious call is coming from the bushes near the road. 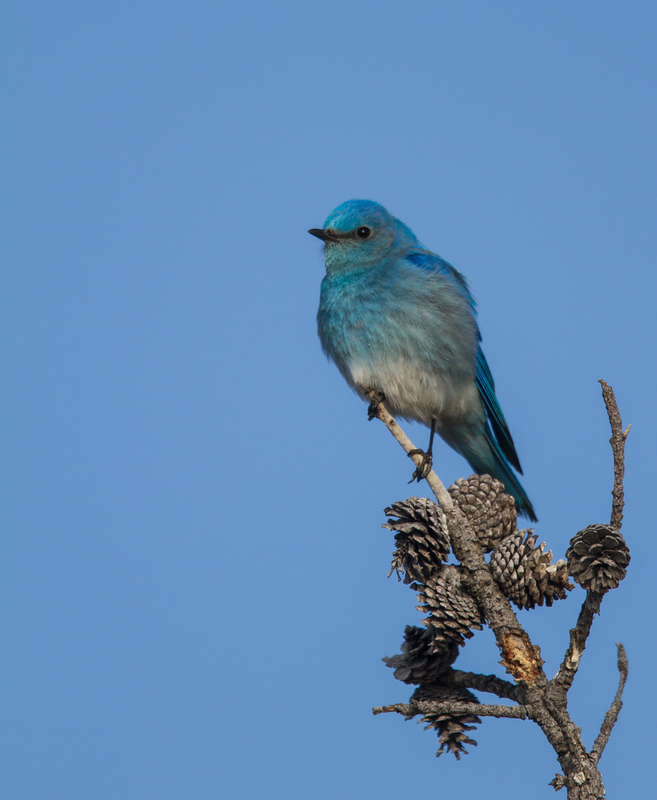 And that is too bad because, like most wild places, Yellowstone has a great diversity of beautiful and interesting birds. 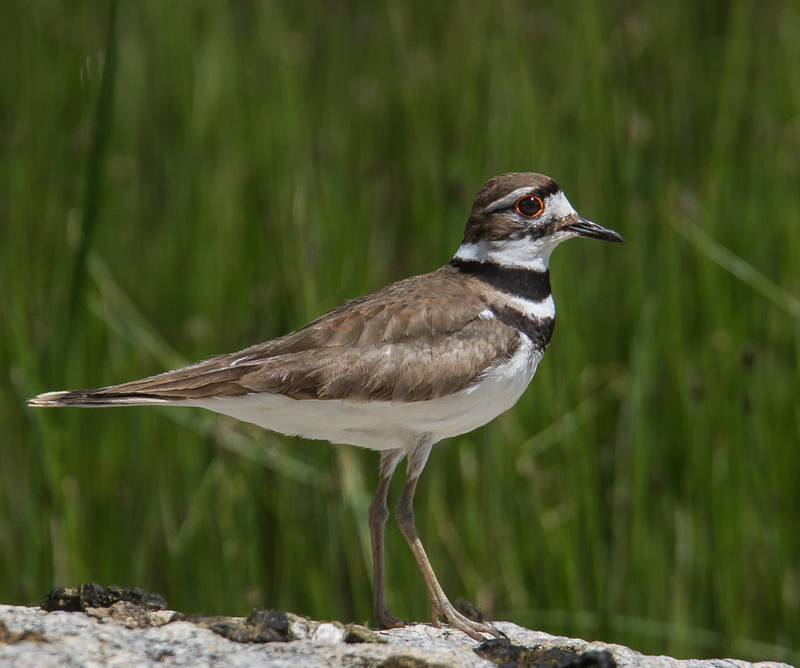 A lot of familiar birds can be observed in the park. American Robins are among the earliest risers each morning, often singing before 5 a.m. Others include Killdeer, Red-winged Blackbirds, American Crows, and Red-tailed Hawks (although western Red-tails are highly variable in color compared to those back in North Carolina). And there are many species that are not the same, but are similar to the ones in my woods. 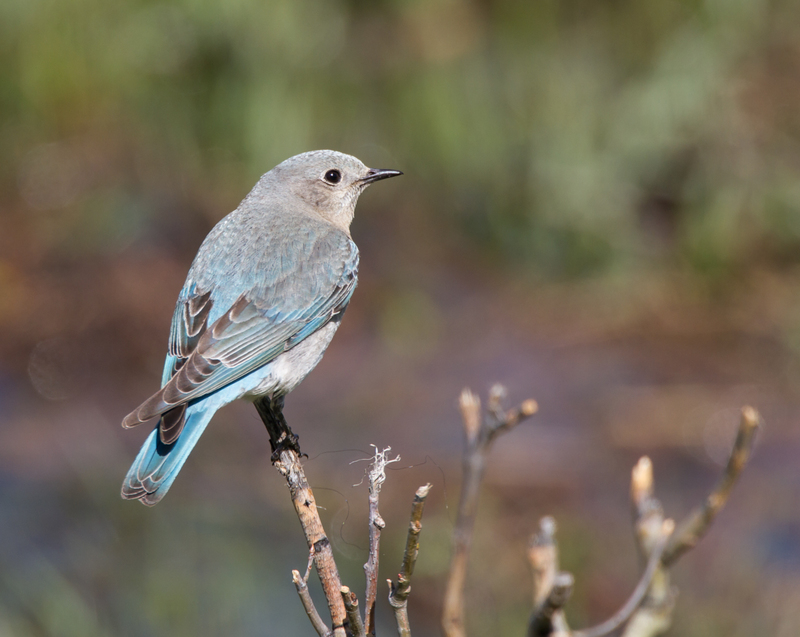 Mountain Bluebird males may fit Thoreau’s famous quote better than our Eastern Bluebirds (the bluebird carries the sky on its back). 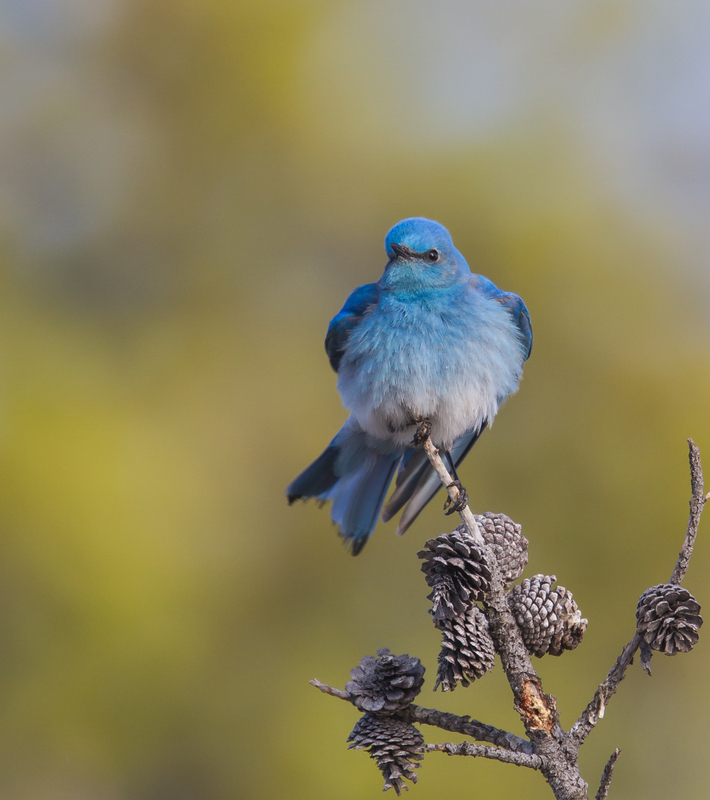 The bluebirds were starting to nest in May so they were active in aspen groves and other places with suitable nest cavities. As in most places, there always seems to be some competition for tree cavities, even though Yellowstone has a seemingly large supply. 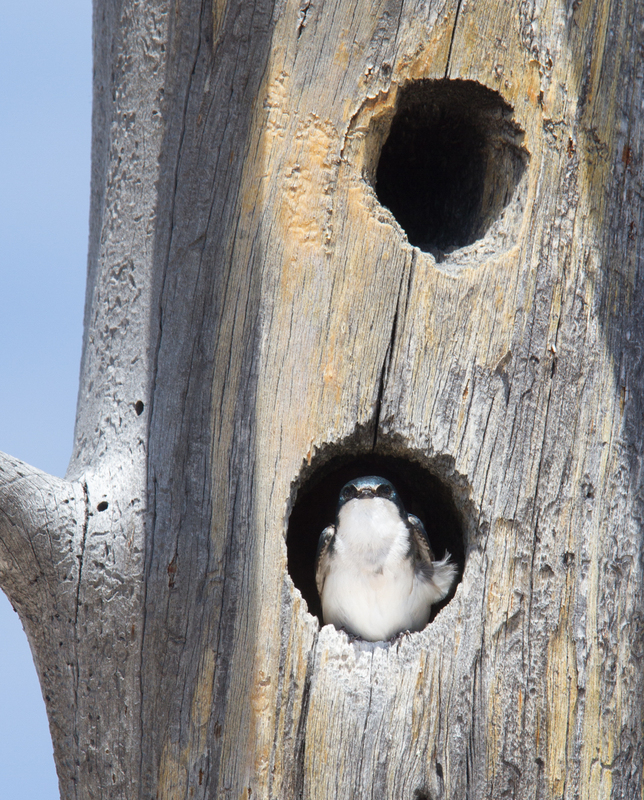 Tree swallows often compete with Mountain Bluebirds and I have seen the same cavity occupied by different species in subsequent years. 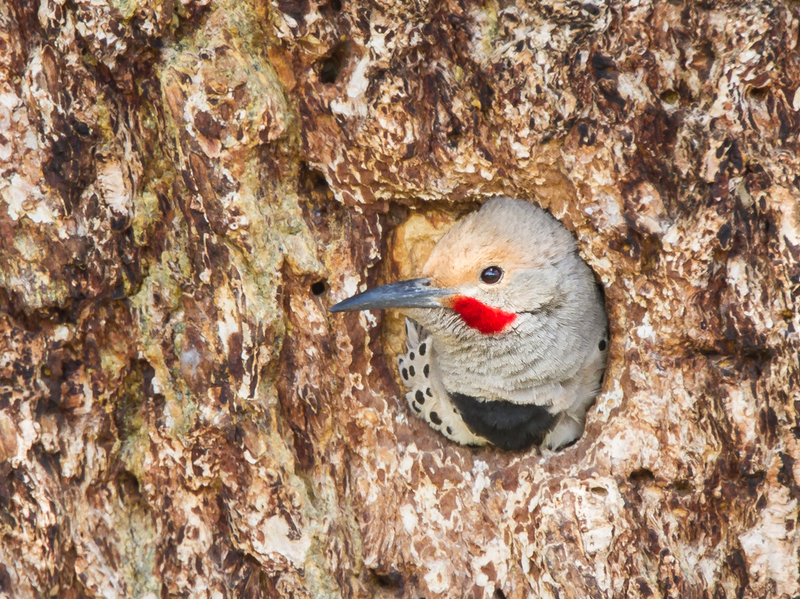 One of the primary cavity makers is the Northern Flicker. Yellowstone’s flickers are what used to be called Red-shafted Flickers. Eastern birds were once called Yellow-shafted Flickers and believed to be a different species, but they are now recognized as the same species. The western flickers have red undersides to the feathers on their tails and wings, and males have a red “mustache” instead of a black one like North Carolina males. 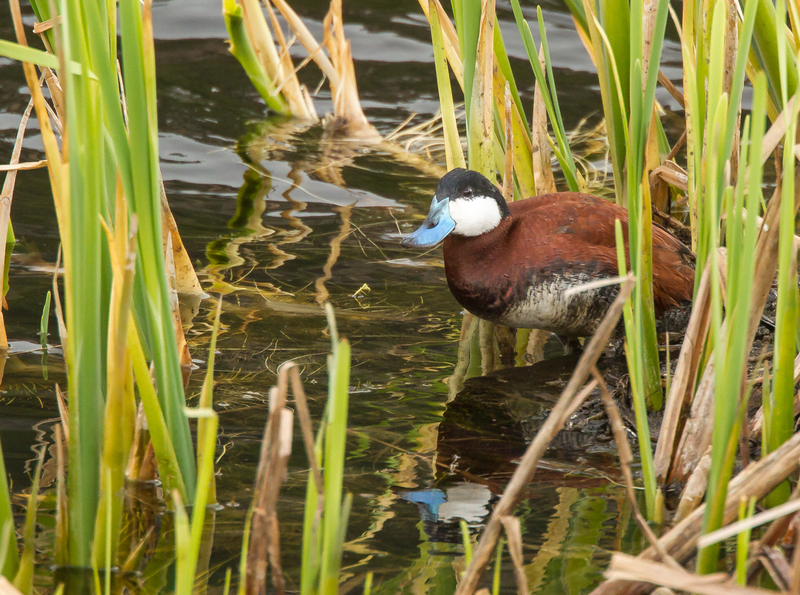 Certain species of waterfowl are familiar, but are in breeding plumage instead of their subdued colors I usually see them in each winter. Others are species that I have never seen at home. 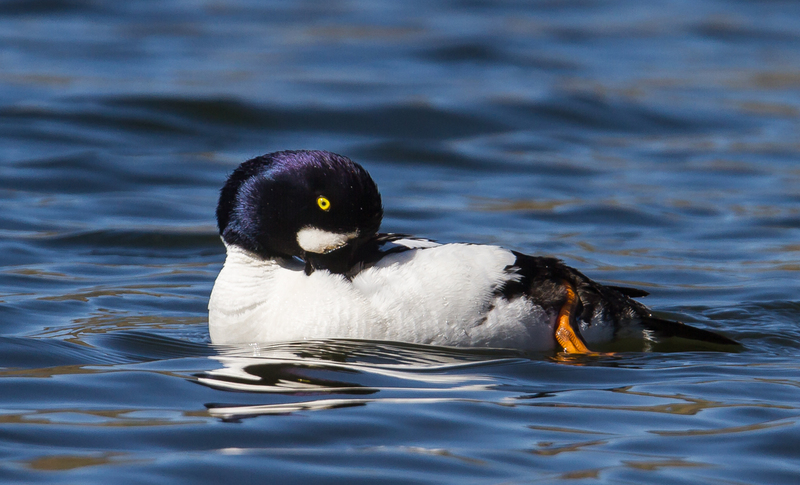 Barrow’s Goldeneyes are diving ducks found on lakes and many rivers in Yellowstone. 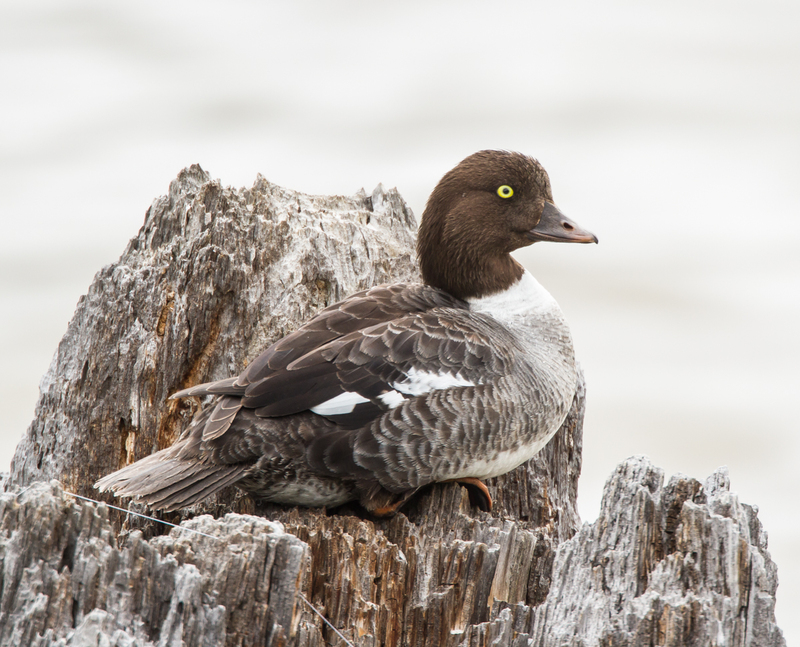 Males are easily distinguished from Common Goldeneye males by the shape of the white cheek patch – an apostrophe in Barrow;’s (like in the name) and an “O” in Common Goldeneyes (again, like their name). 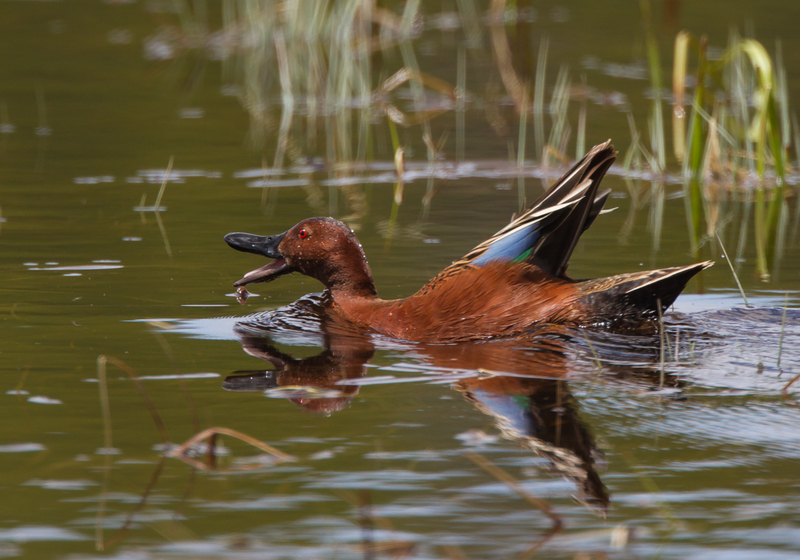 In addition to the Green-winged Teal seen on many waterways in the park, there are frequent sightings of the aptly named Cinnamon Teal. The males are simply stunning. 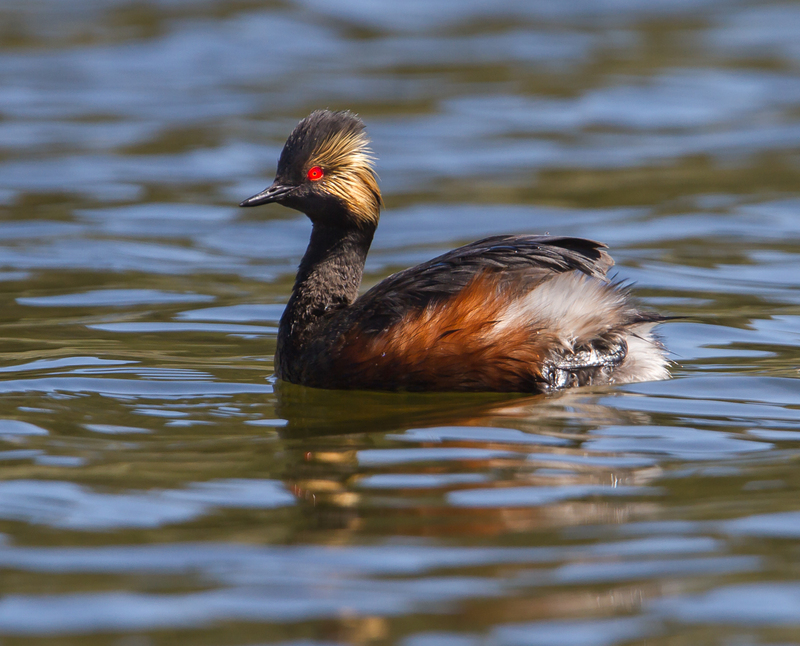 I see a few Eared Grebes every summer, but rarely can get close enough for an image. 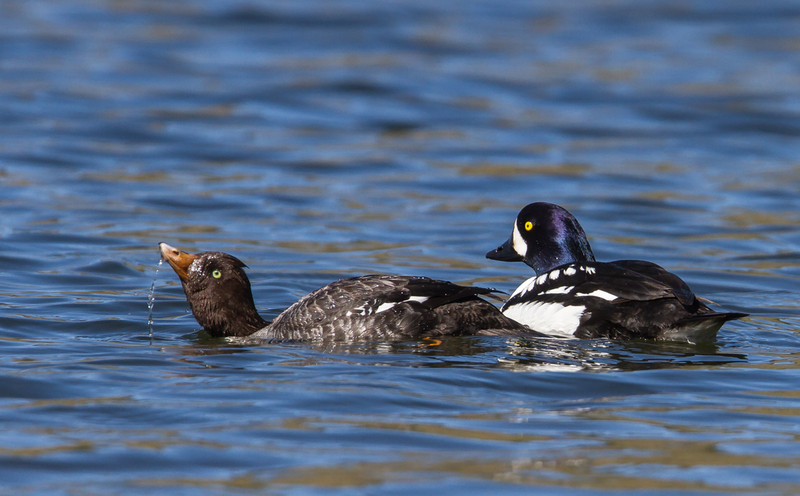 This year, we found a very cooperative one feeding on Trout Lake. It stayed close to shore as it dove to feast on aquatic invertebrates, occasionally turning its adorned head to let the sun strike its brilliant red eye. Some species have interesting relationships with other species in the park. 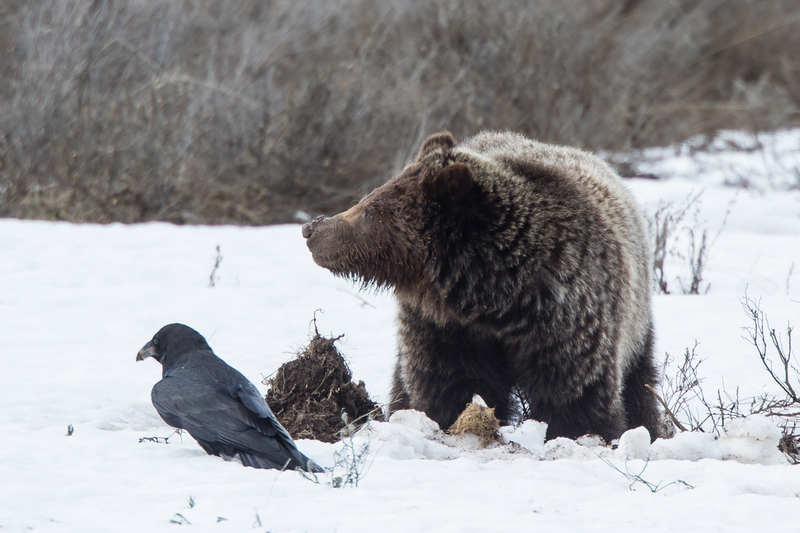 Ravens and Magpies are well known for their association with carcasses and therefore with predators such as Gray Wolves and Grizzly Bears. 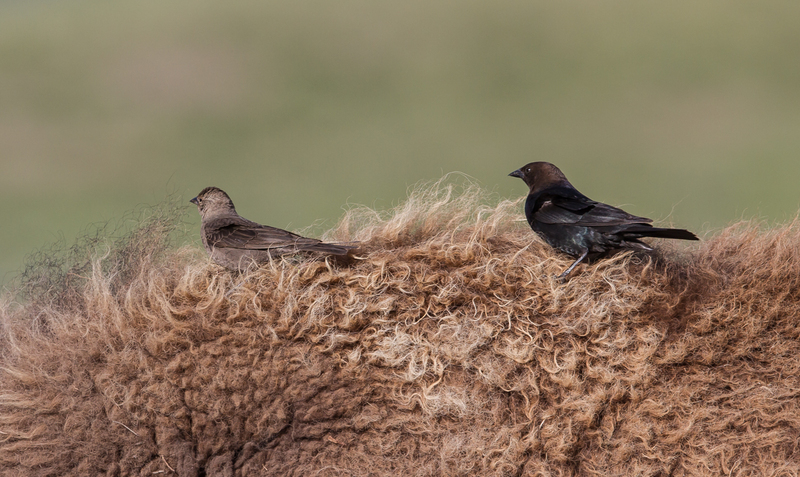 And Brown-headed Cowbirds are often seen foraging on the ground in front of moving Bison, snatching insects disturbed by the big beasts. They also hitch a ride on Bison and Elk and glean ticks and other parasites off these large mammals. While there were many good birds among the 75 species seen in my two weeks in May, there were two that were very special. 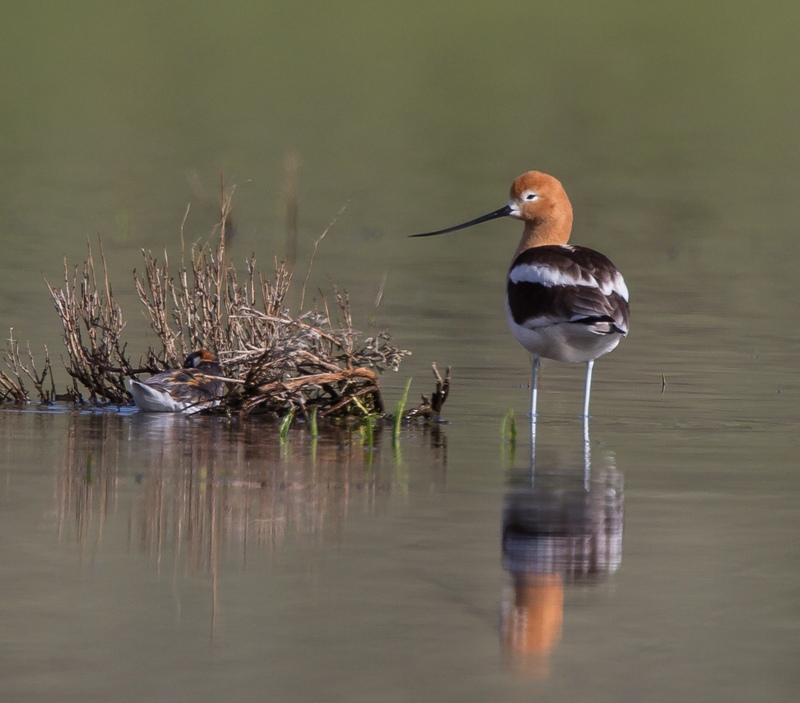 It started with a long distance sighting of one of my favorite shorebirds, an American Avocet, in a seasonal pond in Little America. As I was watching it, I could see another, smaller, bird nearby. The smaller bird was spinning around in tight circles. At the initial distance, I couldn’t see much detail, but guessed it was probably one of the Phalarope species. They swim in tight circles in water, creating a vortex which pulls up potential food items to the surface, which they rapidly pick off. It turned out to be a Red-necked Phalarope, a rare bird for the park. 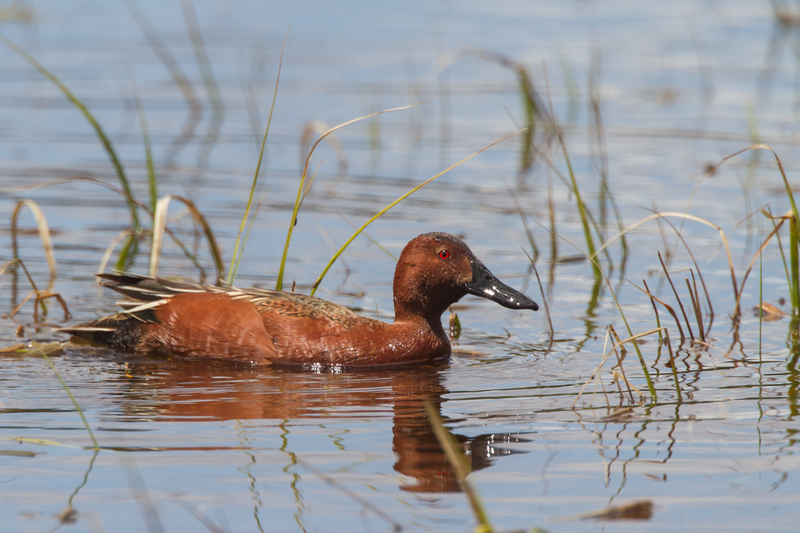 The park bird checklist said there were fewer than 20 records of this species in Yellowstone. So, I went closer to get some images for documentation. 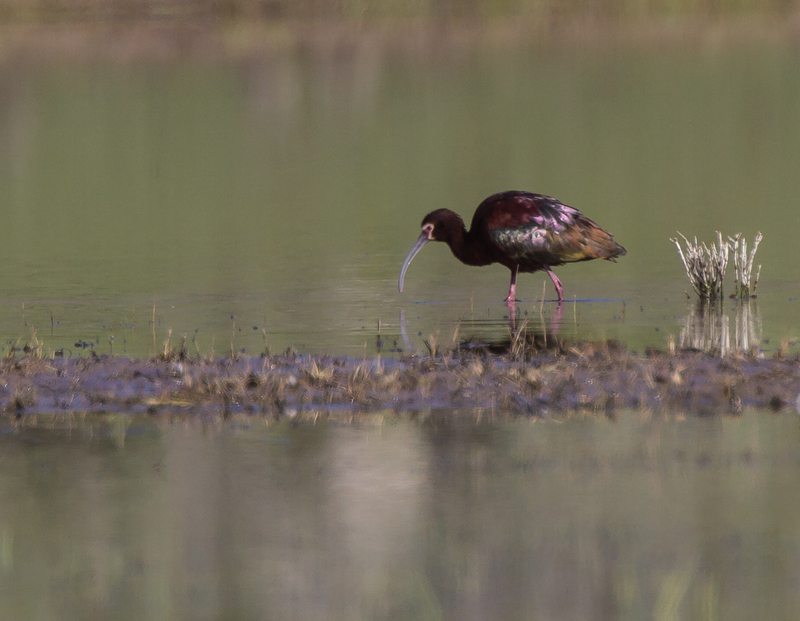 In that same pond, there turned out to be another rare bird for the park, a White-faced Ibis. 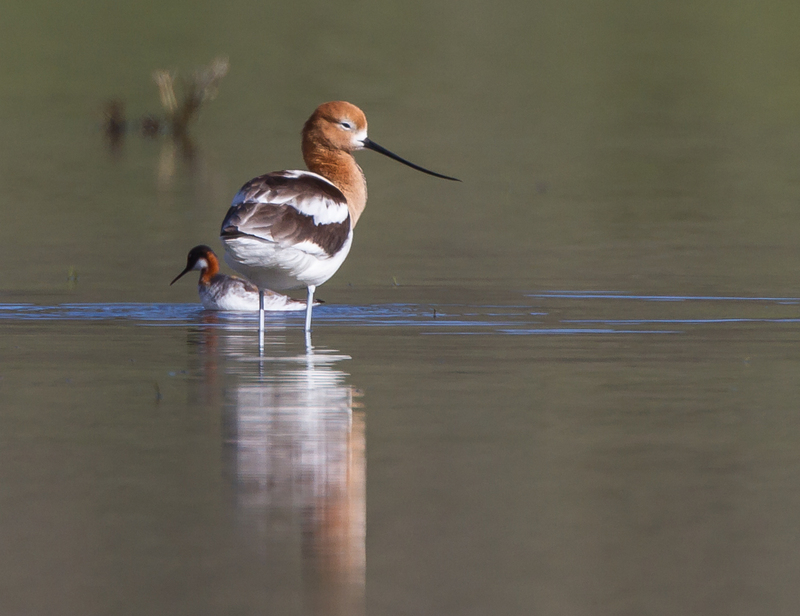 Both of these were lifer birds for me, and I have since submitted images and documentation for both to the park’s bird biologist for their records. The images are a bit soft due to the great distances (I did not want to flush the birds) and the warm temperatures which created blurring heat waves, but they are adequate for identification. On one busy trail in a thermal area, one non-bird drew a lot of interest from visitors that thought it was a hummingbird. 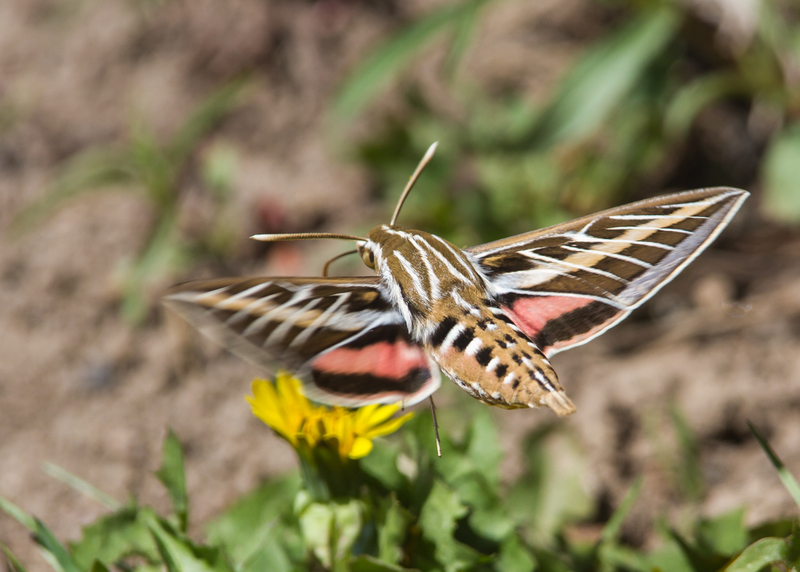 A huge day-flying moth, probably a White-lined Sphinx Moth, was feeding on Dandelions next to a boardwalk. I saw people pointing their cameras down and talking about a hummingbird, but when I looked, it was this beautiful moth. They are said to frequently forage for nectar during the day. 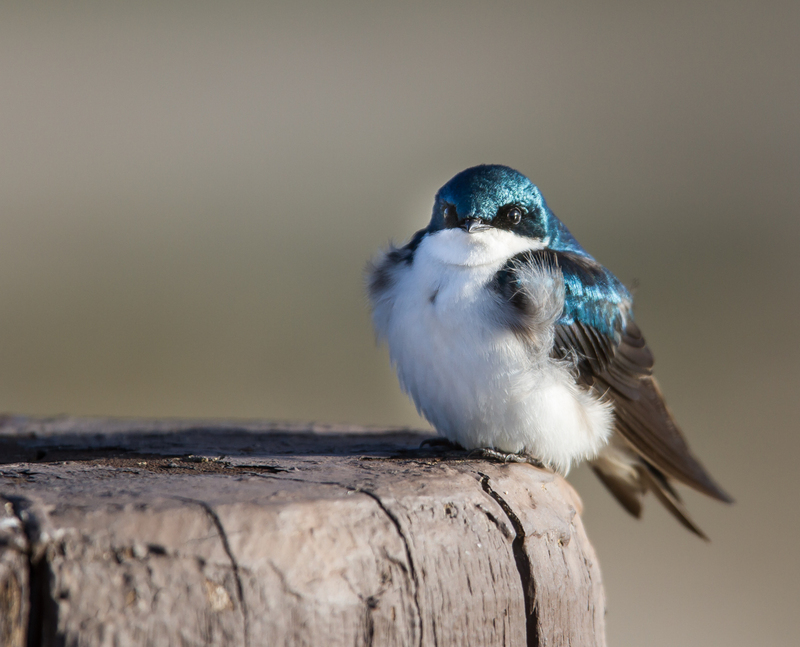 So, next time you are in Yellowstone (or any other park), keep your eyes open for some of the smaller, but still charismatic, fauna, and it will make your experience even richer. 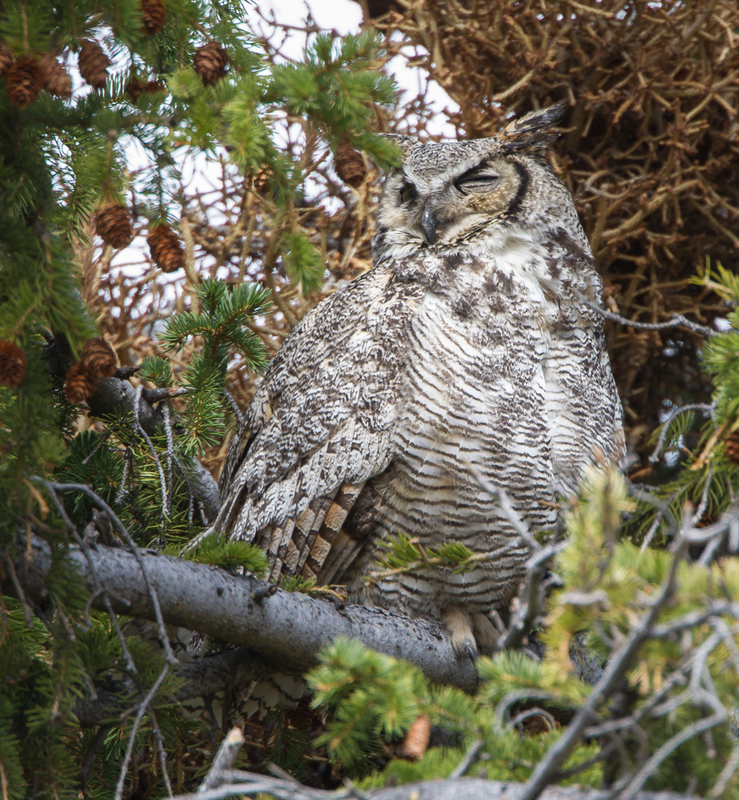 This entry was posted in Natural History, Trip report and tagged birds of yellowstone by roadsendnaturalist. Bookmark the permalink. Guilty! I spent all of my brief time at Yellowstone gazing at bison and grizzly bears. Next time I’ll know better. Thanks, enjoyed the pictures of the birds.